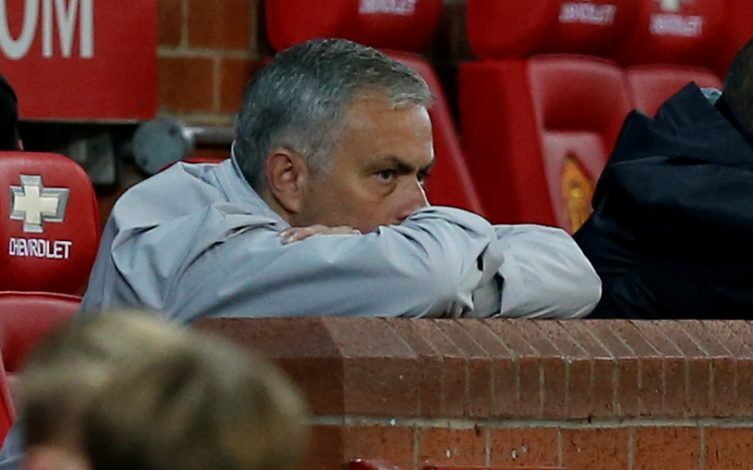 Is This The Sign That Jose Mourinho Could Shockingly Leave Old Trafford? In terms of betterment, it’s hard to argue that Jose Mourinho hasn’t had any beneficial impact on Manchester United. However, as per the Mirror, the Old Trafford outfit is evidently reluctant on handing the Portuguese a renewed contract. The 54-year-old’s prospects with the Red Devils still loom over in a cloud of scepticism that is yet to be unveiled. While some are enjoying the gaffer’s preposterous tactics, a few are finding it hard to endorse, mostly because the results don’t reflect the tactician’s enthusiasm, as they trail behind Manchester City by a gap of 13 points. Being, needless to say, mesmerised by how Guardiola’s guiding the Citizens to Premier League title with such ease, the higher-ups are doubtful as to whether they should update the former Chelsea coach’s contract. The current deal assured the Special One’s undivided coaching attention at Old Trafford for three years when signed back in the summer of 2016. The Red Devils, furthermore, have a card up their sleeve, that is namely a 12-month contract extension, triggered only if the prestigious gaffer was to perform successfully in the first hunk of his three-year-long term. The instrumental figure has not been making much of an advancement in the Premier League, notwithstanding the fact that the purpose of his advent was to revamp the team in order to lift the PL trophy once again after years of title-less campaigns. But the increasing gap between Guardiola’s men wouldn’t obviously come off as an aid to the glorious manager. Although the Sky Blues’ start to the season was pretty much unprecedented, United were expected to be closing in on the Etihad outfit. Since the Premier League is evidently out of hand, Mourinho might require his Midas touch which allowed Porto to savour the taste of Champions League glory if he wishes to stay longer at the helm. However, taking into consideration that the tactician hasn’t stayed any longer than three years at any reputed clubs, he might as well try out other leagues or greener pastures posterior to the expiration of his three-year term at the Mancunian outfit.